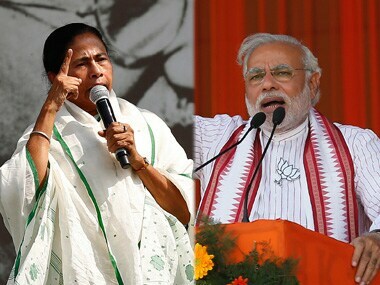 Prime Minister Narendra Modi and his political adversary, West Bengal chief minister Mamata Banerjee, are both scheduled to start their campaigns in the state on Wednesday with almost simultaneous public meetings at North Bengal's Siliguri and Dinhata, respectively. 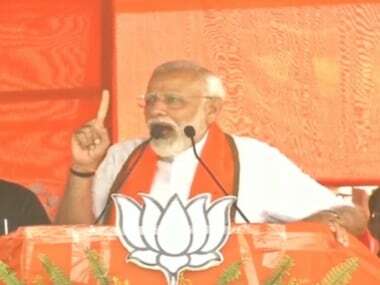 Meanwhile, BJP president Amit Shah is scheduled to address election rallies at Uttarkashi in Uttarakhand at 11.30 am, and Udhampur (2.30 pm) and Rajouri (4 pm) in Jammu and Kashmir. 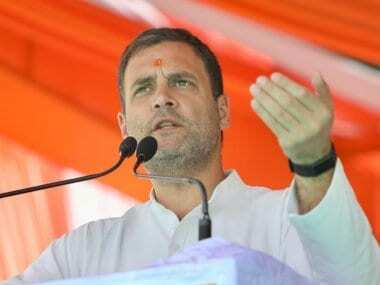 Congress president Rahul Gandhi is likely to hold a public meeting at 10.45 am at Dimapur in Nagaland, and rallies at 12.45 pm at Golaghat and 3 pm at North Lakhimpur in Assam. Congress chief Rahul Gandhi, with UPA chairperson Sonia Gandhi, former prime minister Manmohan Singh, party general secretary Priyanka Gandhi and other senior leaders, released the party's 2019 Lok Sabha election manifesto, a document titled India's New Tryst With Destiny. 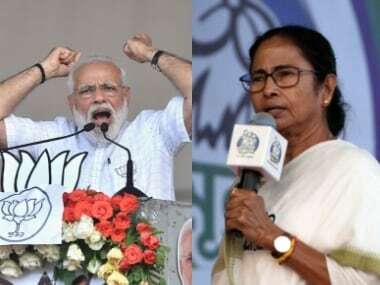 Prioritising employment, poverty, farmers' woes, women and an inclusive society above all else, the manifesto counter the BJP's five years' of policies and measures at every step and calls for a "new narrative" to come forth this general election. 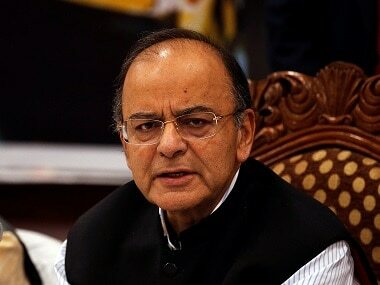 Finance Minister Arun Jaitley criticised the manifesto, saying that the Opposition party’s promises are "dangerous and unimplementable", and that the agenda seemed to be the "balkanisation of India". Accusing Congress of shielding terrorists and being under the influence of Naxals, Maoists and jihadis, Jaitley hit out at the Congress for suggesting it will scrap the sedition law. India on Tuesday sent a note verbale to Pakistan, urging it to make necessary arrangements for the "immediate release and repatriation" of 10 Indian prisoners who completed their prison sentences in Pakistani jails. India also made a fresh demand seeking consular access to five Indian nationals, including formal naval officer Kulbhushan Jadhav, whose case is pending at the International Court of Justice. The Ministry of External Affairs sent the note verbale to the Pakistan High Commission in New Delhi, in which India has conveyed its “deep concern” over the long pending release and repatriation of Indian prisoners held under Pakistan custody despite completion of sentence and nationality confirmation, MEA sources said. President Donald Trump said on Tuesday that he is "100 percent" prepared to close down the US-Mexico border, warning Congress and Central American governments to take action to stem the flow of migrants into the country. Delays were already rising at several key border crossings as Trump ratcheted up pressure on Democrats in the Congress to toughen US laws against illegal immigrants, threatening to hurt the US economy in the name of border security. YouTube executives, including CEO Susan Wojcicki, ignored warnings from a number of employees that led to toxic video recommendations, reports said. Officials at the company are believed to have been more concerned with keeping user engagement high on the platform. Employees complaining were all given the same response to “not rock the boat”. Cash-strapped Jet Airways continues to navigate in troubled skies despite the SBI-led consortium of lenders taking over its management control last month, as the airline, on Tuesday, grounded 15 more planes due to lease rental defaults. This has left just 20 planes in its operational fleet, down from 123, which operating over 650 flights across the country and the continents. "An additional 15 aircraft have been grounded due to non-payment of outstanding to lessors under their respective lease agreements," Jet Airways said in an exchange filing late on Tuesday evening. With this, the number of planes grounded on account of lease rental defaults alone touched 69, which is more than half of its fleet, reducing the overall operational fleet to less than one-sixth. In another development, its pilots body, the National Aviators' Guild, has written to aviation regulator DGCA and airline chief executive Vinay Dube, pressing for payment of three months of salary dues along with applicable interest. The independent directors' committee formed by IT company Mindtree to look into the "unsolicited open offer" by Larsen & Toubro on Tuesday roped in ICICI Securities and Khaitan and Co as independent advisors. The committee was formed to give its recommendations on the open offer for the consideration of shareholders. Lead independent director Apurva Purohit, who is also the president of Jagran Prakashan Limited, in a statement said: "The committee held its first meeting today (Tuesday) and has appointed Khaitan and Co as its independent legal counsel and ICICI Securities Limited as its independent financial advisor to provide assistance in the matter. The written reasoned recommendations on the open offer shall be provided within the timeline and as per the guidelines laid down by SEBI." The committee is expected to submit its recommendations by 11 May. Unbeaten in the league so far, MS Dhoni's Chennai Super Kings will aim to maintain the winning momentum against Mumbai Indians at Wankhede Stadium in Mumbai. Chennai are the only team to win all three matches this season, while Mumbai, placed sixth, have lost two and have tasted success in only one match. Mumbai will hope to take maximum advantage of the home conditions and look to avoid their second consecutive defeat in the Indian Premier League. Chennai spinners — Imran Tahir, Harbhajan Singh and Ravindra Jadeja — will once again hold the key against Mumbai batsmen. Popular comic-host Graham Norton is set to host 2019's BAFTA Television Awards. According to The Hollywood Reporter, it marks his return as the ceremony's presenter after 15 years.